Here is another product with the Fodmap Friendly stamp of approval – red wine & Italian herbs tomato pasta sauce made by Fodmapped. It is low FODMAP, gluten Free, with no garlic or onion, no added MSG, no artificial colours, flavours or preservatives – exactly how we have to eat with IBS. The ingredients are: Tomato (87%) (Contains Citric Acid), Tomato Paste (6%), Red Wine (3%), Olive Oil, Salt, Herbs (0.6%), Yeast Extract, Sugar, Black Pepper, Spices. I made this last night in a hurry and it took me only the time it takes to cook the pasta. I soft-poached two eggs at the same time and placed them on top of the sauce coated pasta. I have never added an egg to pasta like this before and it was delicious. You can read more about the sauce HERE. 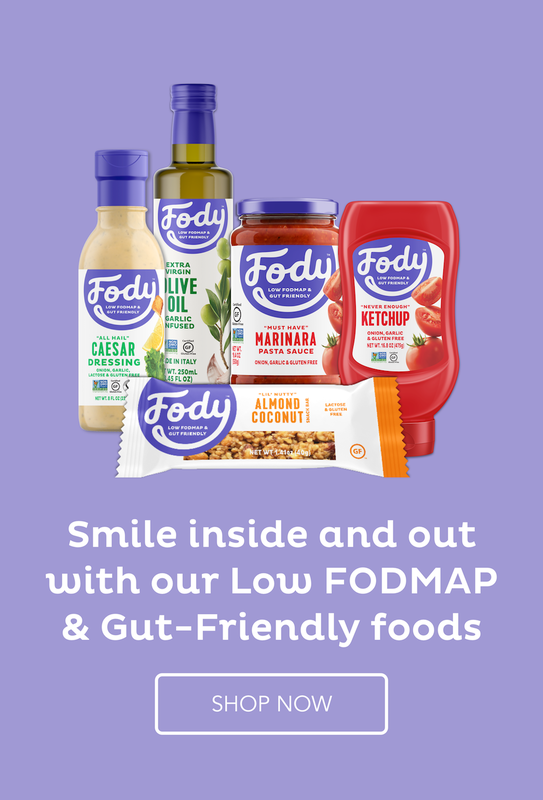 For more of their products go to the Fodmapped website and see if they can be found close to where you live. They are mainly in Australia and New Zealand but I know they are in the process of expanding worldwide. Disclaimer: I am not being paid to give a review of this soup but did receive it as a gift. My opinion is given freely and I would never recommend anything I had not tried and tested myself. Hi Suzanne – I have not tried this particular product of FODMAPPED, but I have tried their soup. It’s very, very good. Only problem is, it’s expensive since it’s coming from Australia. I wish a manufacturer in the US would start making some specifically low FODMAP foods such as this. It looks great and easy to serve. It’s nice that they have thought of making this. Also, thanks for reviewing the product.